JMS unveils a new tuning kit for the 2012 model year Audi A6, a package which brings only few styling tweaks with no further performance upgrades. At the exterior, the German tuning company offers new 20-inch OZ Racing Ultraleggera alloy wheels fitted with 255/35 R20 tires, new front lip and few other minor tweaks. The model sits lower to the ground thanks to a KW V1 coil over suspension able to lower the ride by about 50mm. If the new front lip which is integrated into the front bumper is priced at €319, JMS asks €1,099 for the new suspension system and €3,599 for the alloy wheels. “All JMS parts you get worldwide from the specialist dealer (adress on enquiry), car stores or directly from JMS Germany,” adds the tuner. 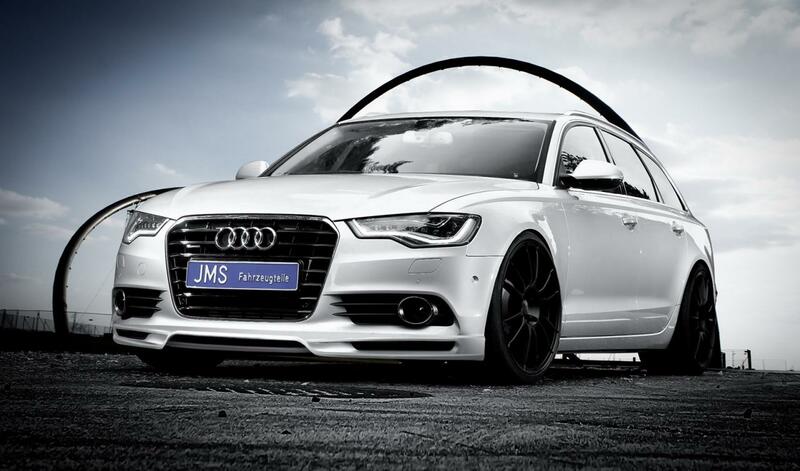 JMS’ new tuning kit for the 2012 Audi A6 will be available starting early next year, January to be more precise.